Mennon White Balance Cap made of durable plastic with neutral tone, suitable for use with any digital SLR and digital video camera with a white balance function and consists of 3 parts: filter mount, detachable cap and a hand strap. A simple instruction manual is included with the Lens Cap. 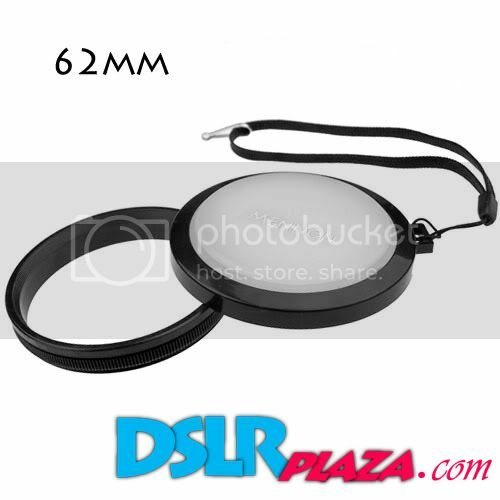 To use this White Balance Cap simply attach the cap and set custom white balance on your camera. Set the manual mode on your camera for White Balance. Attach the lens cap to the lens. Set the lens focus length to telephoto mode. Aim your camera to the photographed object. Keep the white balanced value.